Wellington, Oct 31 (IANS) An ad stating “no Indians or Asians” need apply on one of New Zealand’s biggest online marketplace has outraged and disappointed the Indian community, a media report said. “It’s shocking to hear about this ad,” the New Zealand Herald quoted Indian Central Association President Harshadbhai Patel as saying on Saturday. The ad on TradeMe was listed by a man from Christchurch city who goes by the name Alistair. He insisted that he was not racist but did not want to live with people “who cook curry every night” or could not speak English. “It’s not on. And we should not encourage these kinds of advertisements, especially targeting Asians and Indians,” Patel said. He said he was worried over such explicit discrimination. Patel said such ads were rare in New Zealand, but had the potential to damage race relations. Alistair said he had several reasons for writing the ad. “The honest answer is that the majority of them do not speak English very well, and I’ve had problems with communication in the past, where I have tried to tell them that they are doing something wrong and they don’t understand,” he was quoted as saying. But he also acknowledged that communication problems were not just an “Indian or Asian thing”. The ad was removed shortly after Alistair, who refused to give his full name, got a call from the daily. 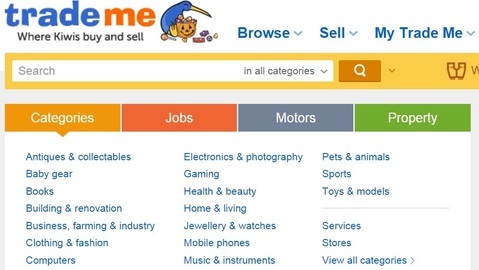 “On the face of it, it sounds like this would have crossed the line,” a TradeMe spokesman said. "It's not only police lives that matter. All lives matter"